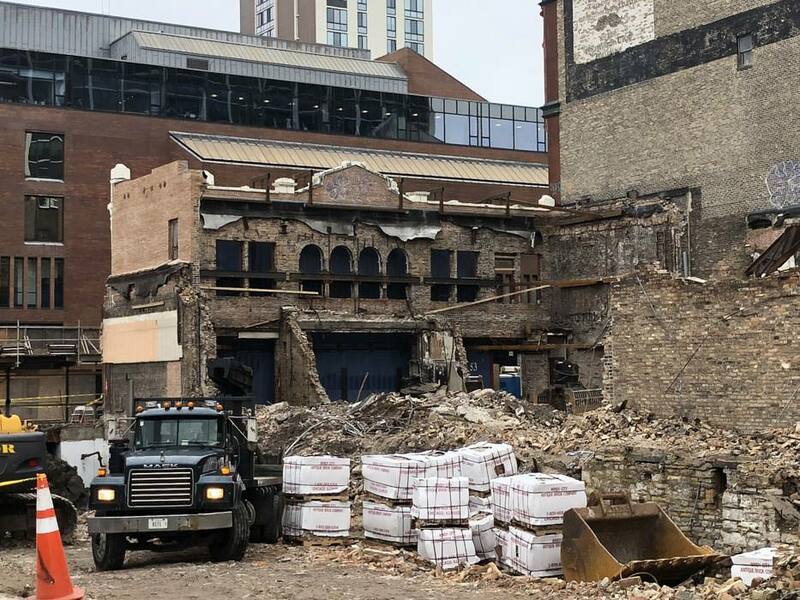 One of the most important aspects of the construction is the preservation and restoration of the Village Theater’s landmark façade, which will be seamlessly integrated into the new building, framing the residential lobby and two amenity spaces. The two-story brick and terra cotta structure dates to 1916. 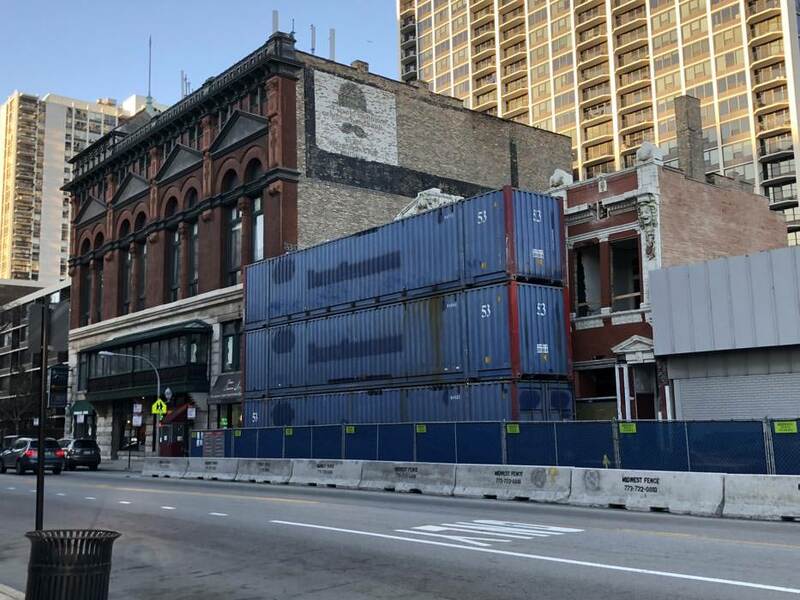 Preservation work began with the installation of three giant shipping containers in front of the façade, along Clark Street. Next, steel beams were welded to the containers and then anchored to the façade. 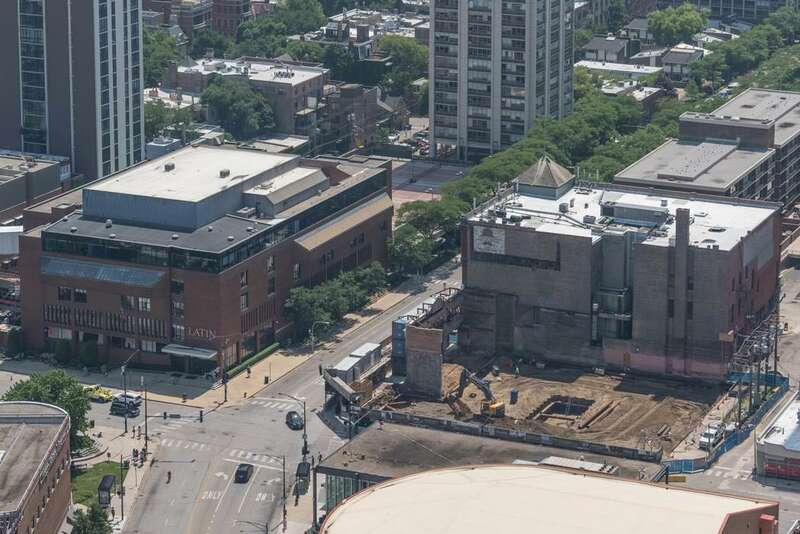 The technique, which general contractor Power Construction has used successfully on other projects, will stabilize the façade throughout construction. Finally, the century-old terra cotta tile was carefully removed and restored by hand. It will be re-installed later this fall.